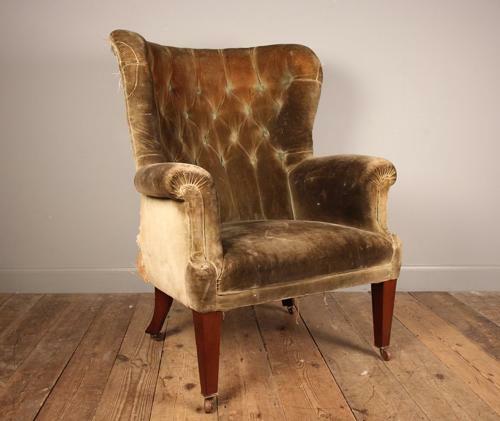 A large 19th century barrel back wing chair for re-upholstery. Having a super shapely frame with a strong curved back, deep buttoning and a sprung seat. Raised on tapering Mahogany legs with original brass and porcelain castors. The frame strong and sturdy, retaining the original horse hair. English, Mid 19th Century.